A medical charity says 141 people have been rescued from the Mediterranean. The rescue vessel Aquarius says it rescued 25 people found adrift on a small wooden boat on Friday. It later spotted a second, overcrowded boat with 116 people onboard - including 67 unaccompanied minors. 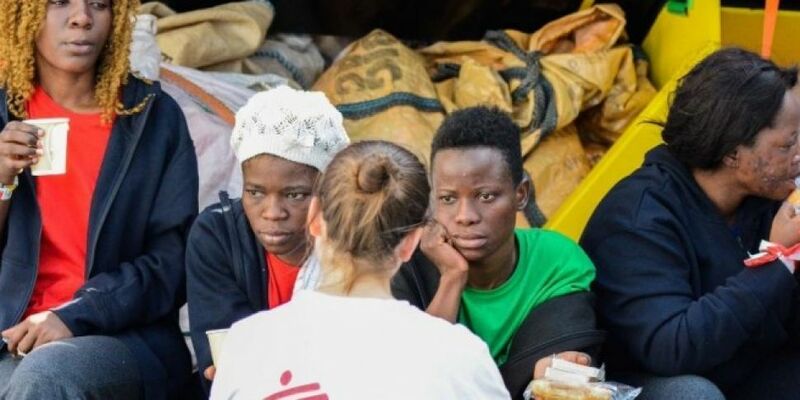 Doctors Without Borders says most of those rescued came from Somalia and Eritrea. The ship's now looking for a place of safety to disembark. Nick Romaniuk is search and rescue coordinator for SOS Mediterranee. He says: "We are now following the instructions of the JRCC (Libyan Joint Rescue Coordination Centre) and will duly contact other RCCs for a place of safety to disembark the rescued people we have on board. "What is of utmost importance is that the survivors are brought to a place of safety without delay, where their basic needs can be met and where they can be protected from abuse." The organisations are calling on European governments to assign the closest place of safety, in accordance with International Maritime Law.